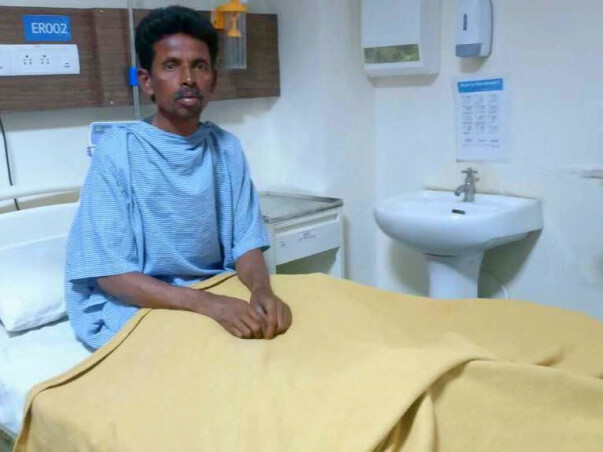 46-year-old father of two, Manohar, is fighting a severe condition called Pelvic Chondrosarcoma which has caused bone tumours. 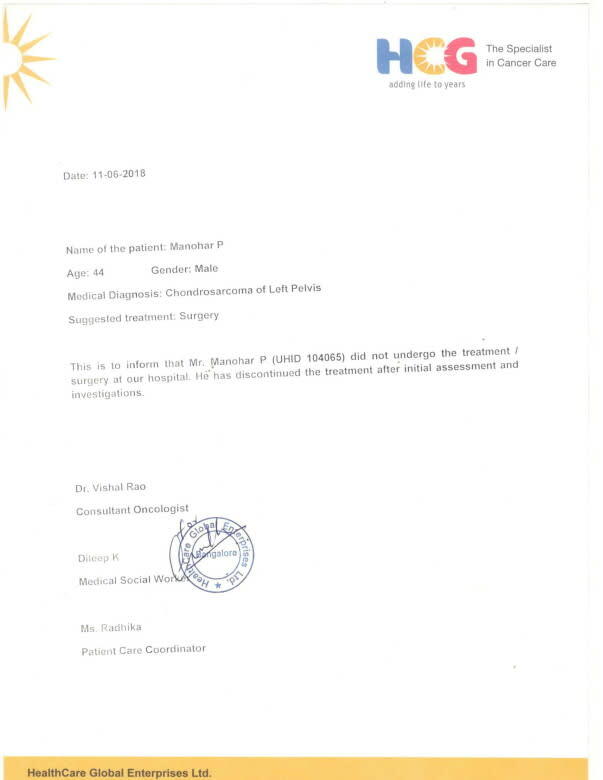 He is in pain and needs to be treated on an urgent basis before the tumors spread to other parts of the body. 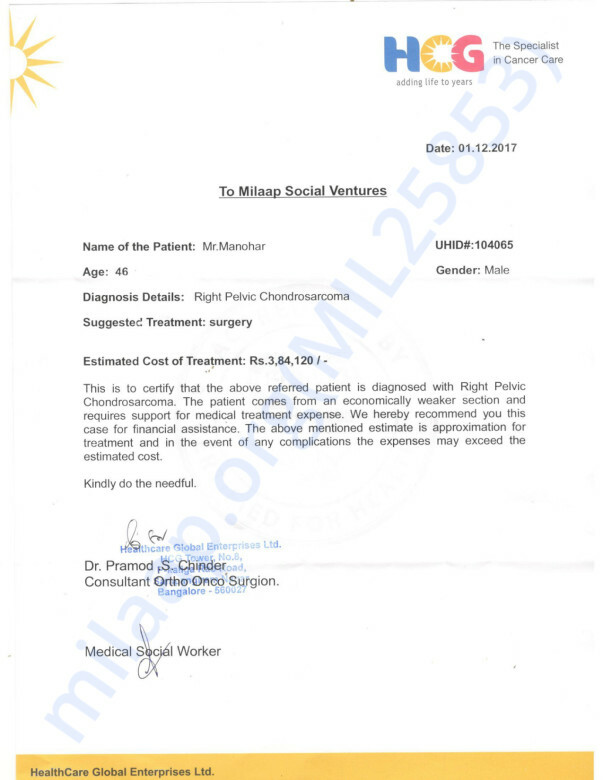 The total cost of treatment is around 3 lakh Rs. This amount is far too high for Manohar and he needs our help to afford his treatment. Your contribution can save Manohar and give his family the treatment he deserves. Thank you for the wonderful support that you have shown towards Manohar. 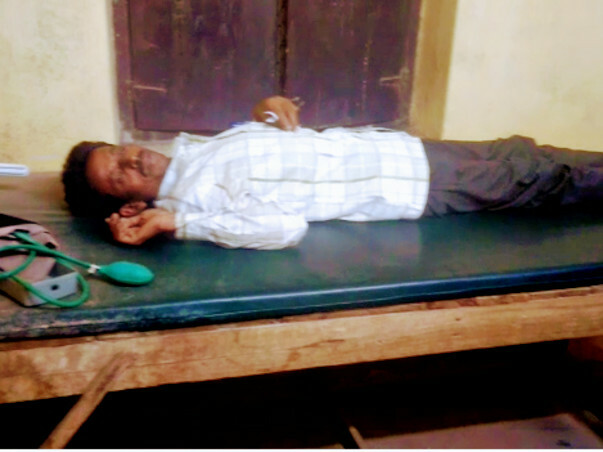 He was undergoing medication and basic treatment. His response to the treatment also had been positive. The hospital tried reaching him multiple times but could not get through. He has discontinued his treatment and we will be using the funds raised via this campaign towards Shashi Kumar's treatment. We do understand that some of you might like to opt for a refund. Please reply to this email by 2nd July and we will be happy to initiate the same. 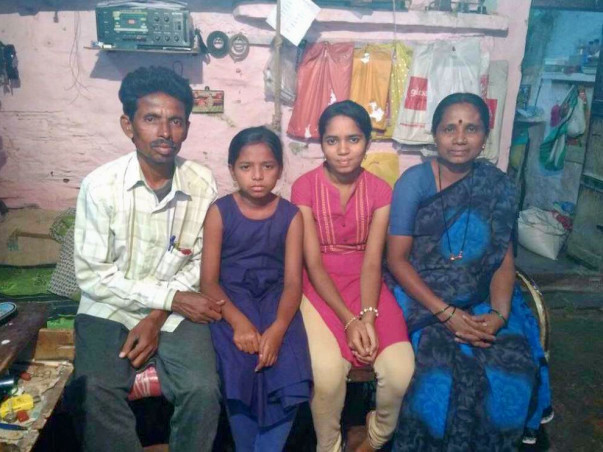 Manohar's surgery is still pending because of the lack of funds. He is unable to walk without support. He is waiting for the funds so that he can have a surgery. Thank you for your support up till now, please keep sharing this campaign. I will pray to God, get well soon..